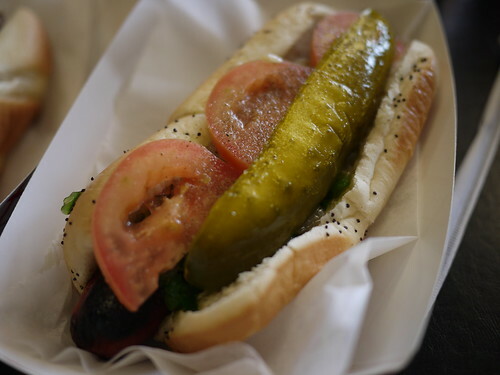 Hot Doug’s – first on the “where to eat” list of so many travel guides, shows, and blogs and a must for the food-obsessed’s first visit to Chicago. 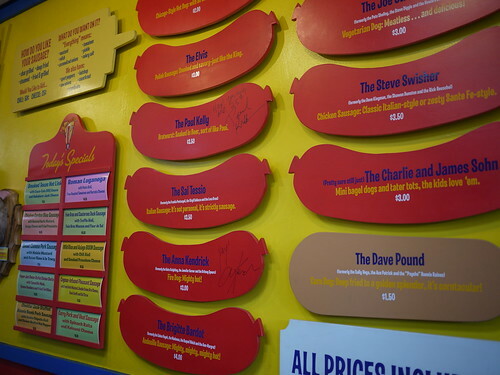 We got there relatively early in the day since we’d heard about long wait times but the line was barely out the door when we arrived. 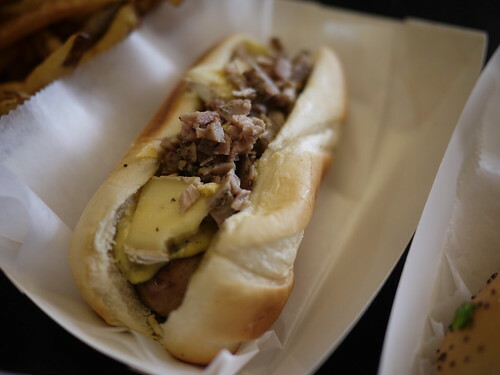 Menu choices ran the gamut from the classic Chicago dog to the famed foie gras and Sauternes duck sausage with truffle aioli, foie gras mousse, and fleur de sel, so we ordered a variety (plus the duck fat fries which are only available on Friday and Saturday) and tucked in. 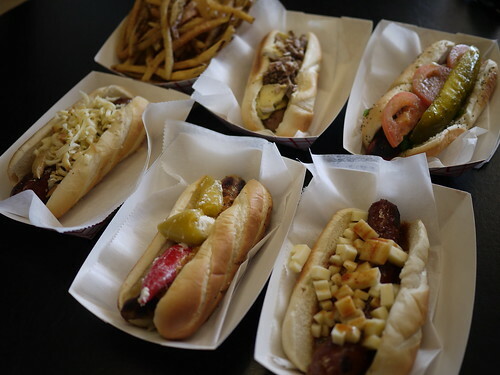 Big hits were the Chicago dog (it’s classic for a reason), the Texas smoked link, and the wild rice and Asiago bison sausage, which wasn’t as gamey as I thought it’d be. 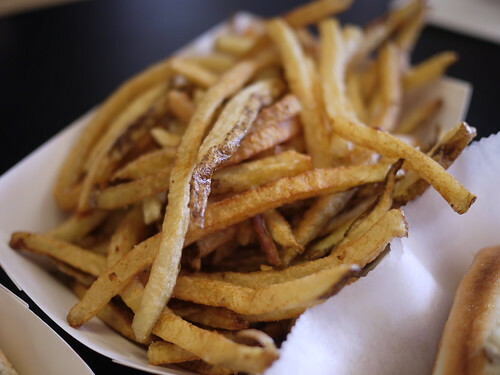 I actually wasn’t floored by the duck fat fries but they did the job of lending some crispiness to all the meat and starch. 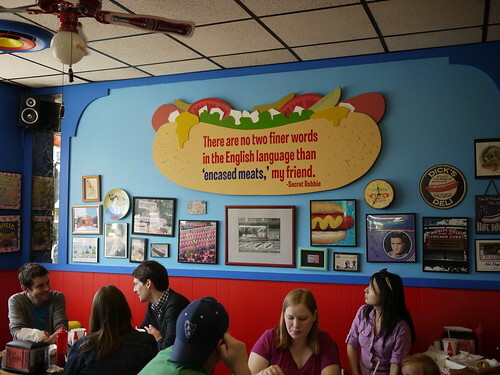 In the end, Hot Doug’s is definitely worthy of all the acclaim and fandom, a casual place where Doug himself still mans the counter and takes orders, the staff are super efficient at getting customers their food as quickly as possible despite the long lines, and the food is just frikkin’ delicious. 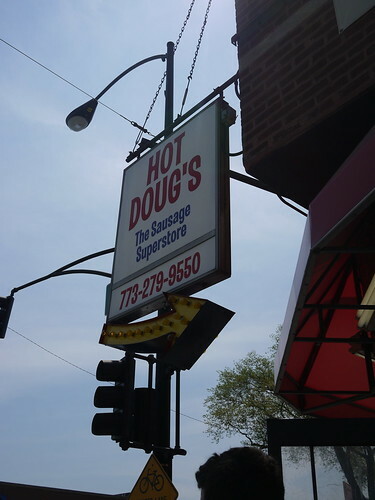 Thanks for the recommendation – I’m going to be in Chicago for Christmas and this is absolutely on the list! 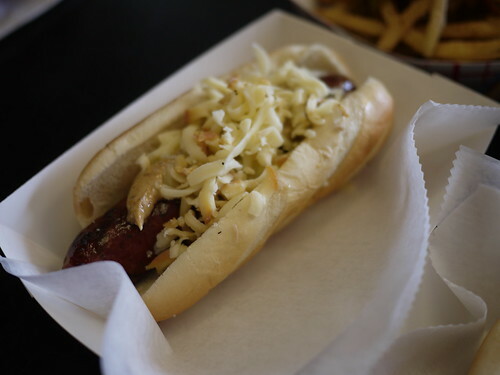 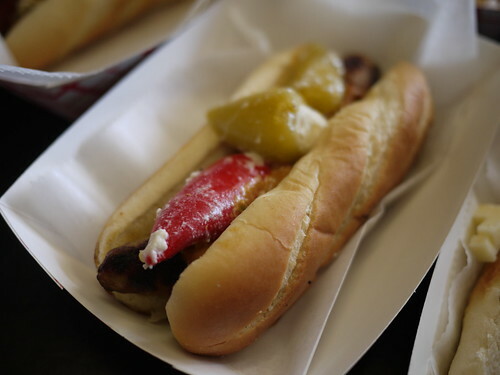 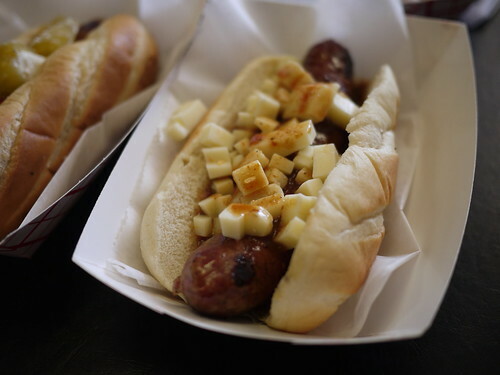 You are currently reading Hot Doug’s at Notes on Food.